Many people reading this blog will already have a pretty fair idea of what the hashtag is and be looking for a more detailed guide on how to use it for #marketing and #fun, but for the sake of those new to social media who may be wondering why people have suddenly started adding #’s all over the place, let me explain. At its simplest, a hashtag is the symbol “#” followed by a string of characters with no spaces. Thus, #liverpoolfootballclub is a hashtag, or #londonchristmasmarkets is a hashtag, or #graphicdesign is… well, you get the picture. The hashtag’s use in social media is to allow users to group and follow trends and conversations with a particular theme. By using a word, group of words or phrase after a hashtag, the social media user can make the theme as specific or general as he or she wants it to be. Similarly, anyone posting a comment on a social media site can increase interest by flagging up the conversation as relevant to a particular trend by inserting a hashtag. In fact, it’s difficult to see how internet based companies which operate significantly within the world of social media, ever functioned without it. Which social media sites use them? Short answer? All of them! The use of the hashtag was first proposed on Twitter in August 2007 and it's use quickly took off, first on Twitter, but with Facebook’s late adoption of the device in 2013, it’s now active on almost all social media sites including Google+, Instagram and many more. 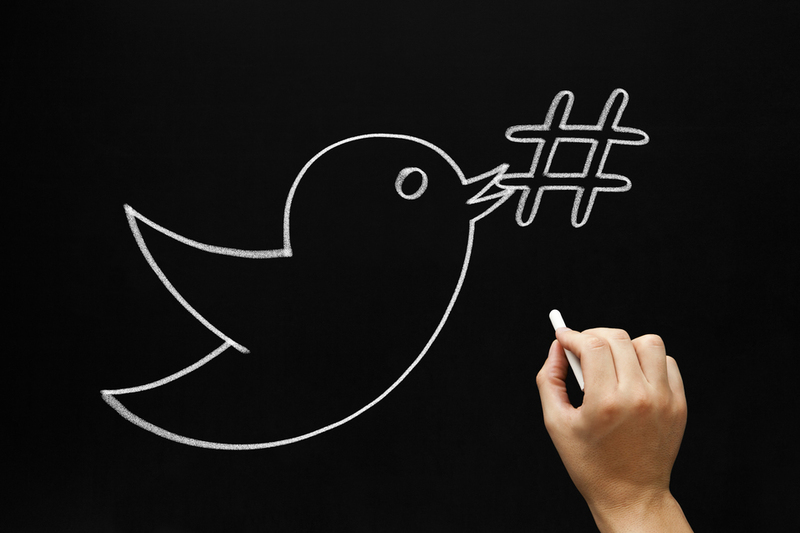 Interestingly, back in 2007, Twitter’s co-founder, Evan Williams, expressed the opinion that hashtags were too nerdy to ever take off. Moral of the story; never underestimate the power of the nerd! How to find popular hashtags? If you want to use hashtags for marketing, rather than for fun or irony, it’s best to use popular ones, as it means it will be placed on a page with lots of other posts that are more likely to get visited. If you use #MyExperienceOnTuesdayInLondon then it’s very unlikely anyone else will use it, making it effectively useless. How many hashtags is best? If you use too many hashtags then it’s likely to dilute the meaning of what you’re saying and #create #gibberish #that #is #hard #to #read. On the other hand, using them does create links to your Tweet from the collective hashtag of the group and helps other people find it. It’s therefore recommended to use between one and three hashtags in a Tweet. In Facebook hashtags haven’t taken off in the same way, so use between zero and two. The # and @ symbols shouldn’t be confused on social media as they mean 2 completely different things. @ is used to identify someone’s Twitter profile, for example if you write @indigoextra then it will insert a link to Indigoextra’s Twitter profile, as well as sending us a notification that we’ve been mentioned in your Tweet. To allow people to link to different parts of the page via something called anchors, for example if you click how to find popular hashtags then it will take you to that section of this page. If you look at the URL after clicking this link, it will have changed from https://www.indigoextra.com/blog/what-is-a-hashtag (the URL of this page) to https://www.indigoextra.com/blog/what-is-a-hashtag#popular-hashtags - adding #popular-hashtags to tell you which anchor text to visit. Instead of cookies to help track which pages visitors have seen, which currency they use, etc. It's worth noting that Google only index a page once and ignore the part of the hash symbol in the URL. For SEO it's therefore essential not to use e.g. #french or #german to control the language of your website, as Google won't be able to distinguish between them. Separate sub-domains, sub-folders or separate domains all work just fine though. The seemingly simple device of the hashtag has allowed social media users to rationalise their internet time considerably, with subject matter of particular interest easily accessible. For other social media users, the device has had similarly far reaching effects, with political organisations, charities and even government offices making use of the little symbol. Some of the more dubious uses of the hashtag have even been subverted to good – thus the pretty awful #neknomination trend (encouraging unpleasant and incremental consumption of alcohol, with sometimes deadly results) became RAKnomination, with people challenged to show a random act of kindness to a stranger. The hashtag trended with often heart-warming results. Not surprisingly, big business was quick to catch on to the marketing use of the hashtag. In some ways, this has proved to be a double-edged sword, particularly given the wide, rebellious streak of many internet users. Some companies, such as McDonalds, with #McDStories took rather more online abuse via the hashtag than they’d bargained for. One other evolutionary aspect of the hashtag is the use of capitals in the text characters. In some ways, this makes the hashtag easier to read. It also avoids embarrassing unintended consequences. For example, when Margaret Thatcher died, one hashtag which trended was #nowthatchersdead. This led to persistent internet rumours that the singer/actress Cher had shuffled off this mortal coil. A second example was the episode which has passed into online urban myth regarding a party to celebrate the release of a recording by Susan Boyle - #SusanAlbumParty (try it without the capitalization – you’ll see what I mean. The story of # is a real internet rags to riches tale. Where would we be without it?